Presents an overview of the results of the 4-year research project 'LOD2 – Creating Knowledge out of Interlinked Data', the goal of which was realizing the Semantic Web vision of making the Web a global, distributed, semantics-based information system. Linked Open Data (LOD) is a pragmatic approach for realizing the Semantic Web vision of making the Web a global, distributed, semantics-based information system. 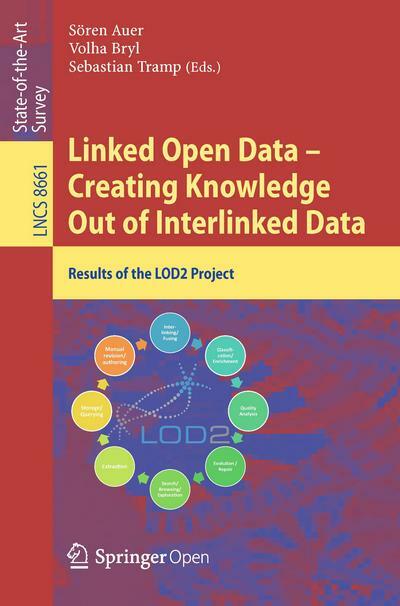 This book presents an overview on the results of the research project “LOD2 -- Creating Knowledge out of Interlinked Data”. LOD2 is a large-scale integrating project co-funded by the European Commission within the FP7 Information and Communication Technologies Work Program. Commencing in September 2010, this 4-year project comprised leading Linked Open Data research groups, companies, and service providers from across 11 European countries and South Korea. The aim of this project was to advance the state-of-the-art in research and development in four key areas relevant for Linked Data, namely 1. RDF data management; 2. the extraction, creation, and enrichment of structured RDF data; 3. the interlinking and fusion of Linked Data from different sources and 4. the authoring, exploration and visualization of Linked Data. Sören heads the Enterprise Information Systems group at the computer science department at University of Bonn. He is also member of the leadership council of Fraunhofer-Insitute for Intelligent Analysis and Information Systems (IAIS) and head of the Fraunhofer IAIS department EIS. 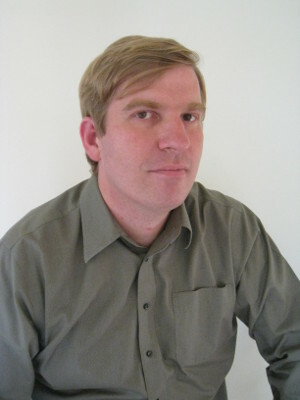 Prior to joining University of Bonn and Fraunhofer IAIS in 2013, Sören founded AKSW research group at University of Leipzig and worked at TU Chemnitz as well as University of Pennsylvania. Dr. Volha Bryl is Alumni Postdoctoral Researcher in the Data and Web Science Group at the University of Mannheim. Before joining the DWS group in January 2013, she spent 4 years as a postdoctoral researcher at the Bruno Kessler Foundation in Trento, Italy, at the Data and Knowledge Management research unit. Her research interests are Data Fusion, Data Quality Assessment, and Linked Open Data and applications. Dr. Sebastian Tramp is an AKSW founding member, former head of the Emergent Semantics research group and now associated AKSW member and Head of Development at eccenca GmbH. His research interests include Distributed Semantic Social as well as Business Networks, Security / trust / privacy in the Semantic Web, Basic Web information technologies, Semantic Web infrastructure, languages, and applications.